Next in our series of supercar crashes is this blue Lamborghini Gallardo. 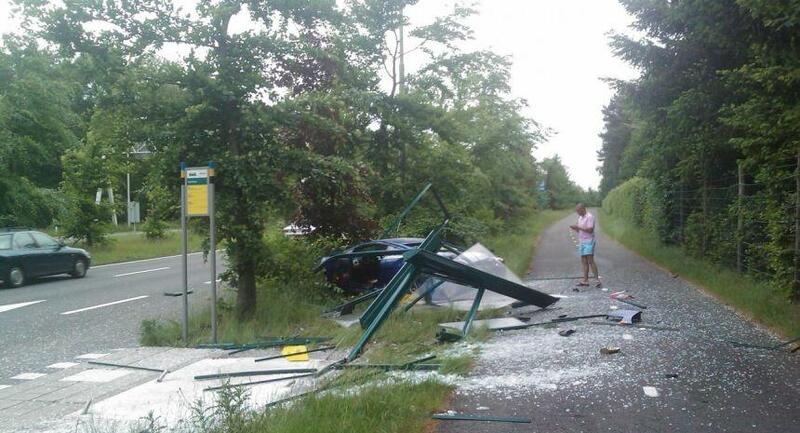 The accident happened in Arnhem, the Netherlands. The story goes that the driver, a 32 year old, was test driving the car on dealerplates. After pushing it for a while, which made some people make complaints to the police, he ended up sliding of the road and crashing into a busstop. Result: total loss!